A roof makes a serious statement for whatever structure it adorns. The structures in this gallery were created to be unique for inspirational purposes, technological reasons, or a combination (actually, one was more out of spite). Like jeweled crowns, these rooftops will definitely make you take notice, and perhaps want to see them in person. Enjoy. 1. This open air home from Rio de Janeiro was designed by Mareines and Patalano to inspire interaction between humankind and nature. This beach house is the perfect place for parties and social gatherings, and the open design maximizes use of trade winds for ventilation. These majestic roofs make them look like a crowned gathering place, and they are the centers for social activities in the Torajan culture. 3. 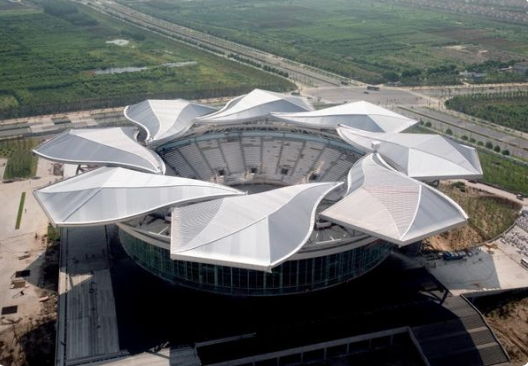 The Qizhong Stadium in Shanghai was the largest tennis facility in Asia for some time. It is known for it’s eight piece “magnolia roof.” Magnolia is Shanghai’s official flower. The ceiling takes about eight minutes to fully bloom or wilt (open or close), providing the atmosphere for outdoor or indoor events. Apparently, even Roger Federer is impressed by this amazing feat of engineering. 4. 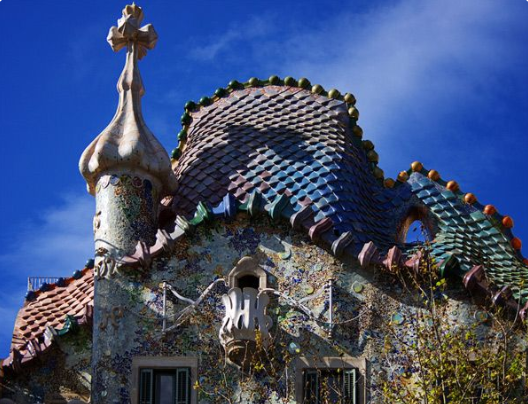 Here’s a lovely building from Barcelona, Spain, known as Casa Batllo Gaudi. It looks kind of like the back of a colorful dragon. 5. 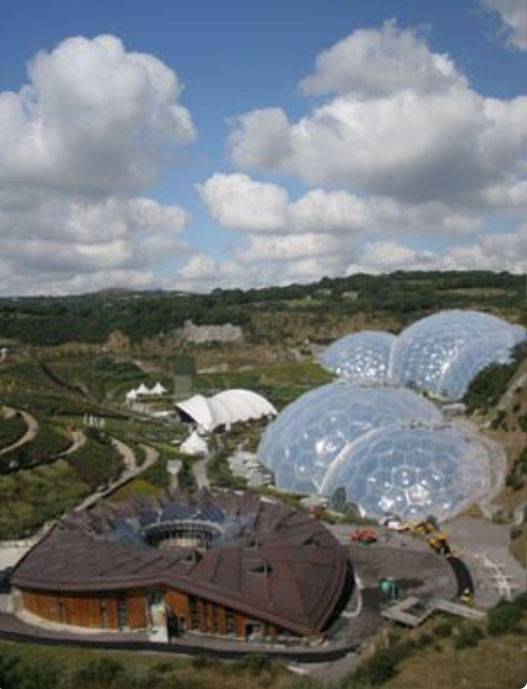 The Eden Project, in Cornwall is an educational charity with huge biomes that house the largest rain forests in captivity. The purpose is to educate humanity on how to properly exist and build with nature. This building is known as The Core. 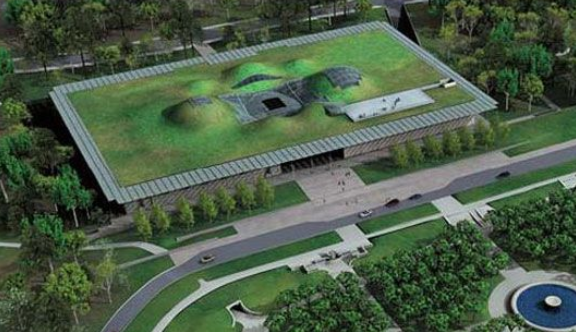 It is based on the design of a sunflower, and is a central hub for educational displays and projects. 6. 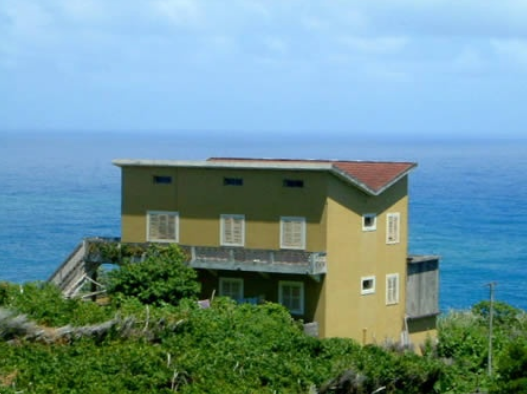 Here’s the “Up Sided Roof” at Seixal, Madeira. 7. 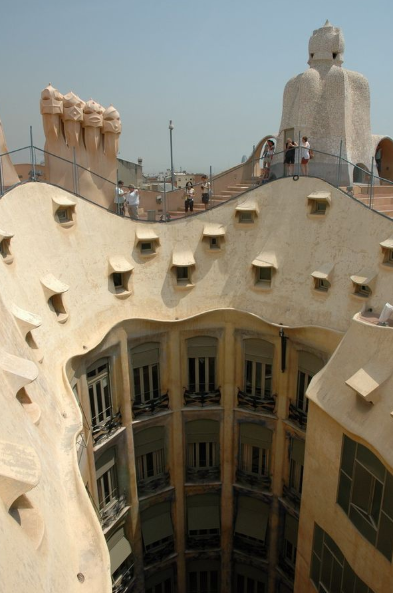 This Barcelona structure is known as la Pedrera. Gaudi decided to create a roof with sentinels to stand guard. Who needs gargoyles? Aside from that, the varying shaping, angles and structures make it an appealing part of the Barcelona architectural history. 8. 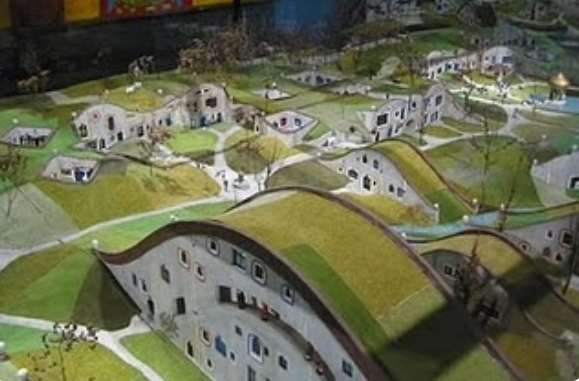 This is a proposed, concept village for Sweden’s Gothenburg. The village is to be named Heden, and is a beautiful union of nature and civilization. 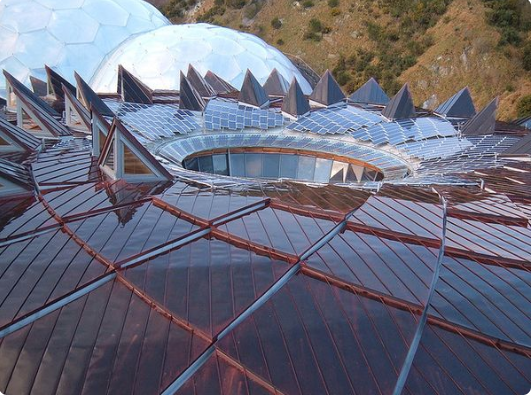 Wonder if they got any inspiration from conglomerations like the Eden Project. 9. This is the Florian Tower in Dortmund, Germany. It is a landmark and telecommunications tower, named after St. Florian, the patron saint of gardeners. 10. The Academy of Sciences in California has taken rooftop recreation to the next level with this man made park. 11. 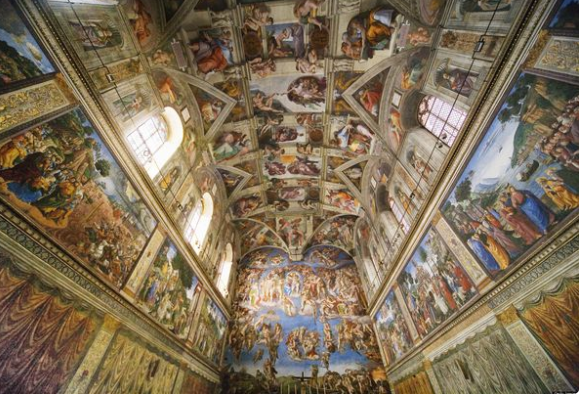 While the roof is pretty cool, it’s the inside of the Sistine Chapel that truly makes it stand out. Ol’ Mikey really knew what he was doing! 12. 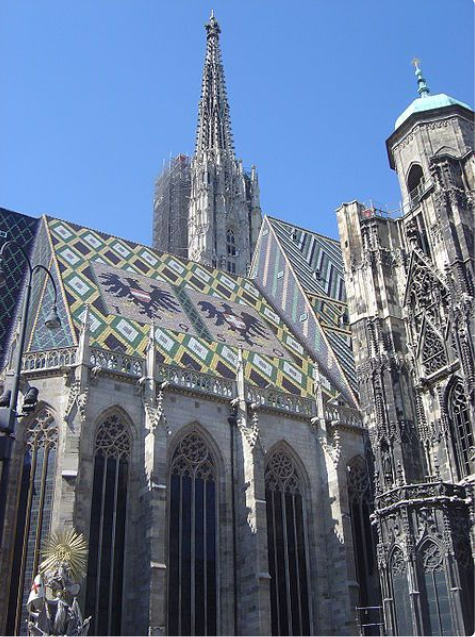 St. Stephen’s Cathedral in Vienna is another example of old school that will never fade from fame. Besides the designs being worked in a way that looks like artistic snake skin, the 12th century building looks like the result of a castle and church having a love child.